Professor Stephen Hawking’s nurse has been struck off for failures over his care and financial misconduct. Patricia Dowdy, 61, who worked for the renowned scientist for 15 years, was handed an interim suspension in 2016, it emerged at the weekend. The Nursing and Midwifery Council (NMC) has now found she did not “provide the standards of good, professional care we expect and Professor Hawking deserved”. Mrs Dowdy told The Mail on Sunday she was upset and did not want to comment. The NMC made its decision to remove Mrs Dowdy, from Ipswich, from the nursing register at a private hearing in London. A fitness to practise panel said Mrs Dowdy’s behaviour amounted to financial misconduct, dishonesty, not providing appropriate care, failing to cooperate with the NMC and not having the correct qualifications. Matthew McClelland, director of fitness to practise, said: “As the public rightly expects, in serious cases such as this – where a nurse has failed in their duty of care and has not been able to give evidence to the panel that they have learned from their mistakes and be fit to practise – we will take action. 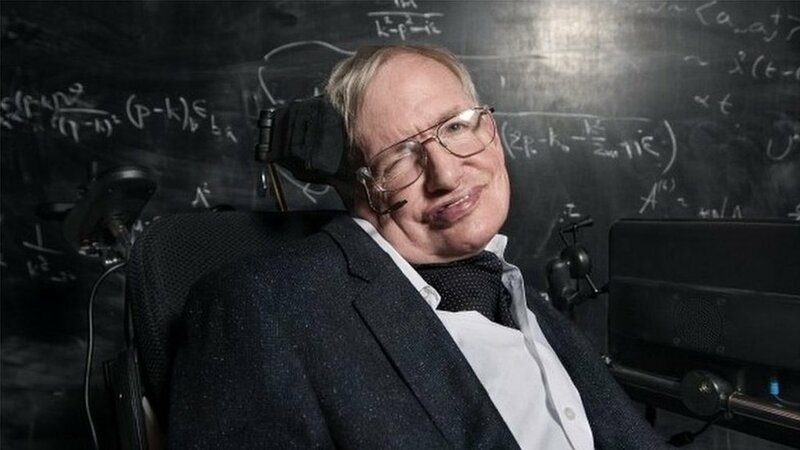 A family spokesman said Prof Hawking’s family was “relieved this traumatic ordeal has now concluded and that as a result of the verdict, others will not have to go through what they suffered from this individual”. “They want to thank the NMC for their thorough investigation,” he added. Prof Hawking died at his home in Cambridge in March last year aged 76 having lived with motor neurone disease for more than 50 years.